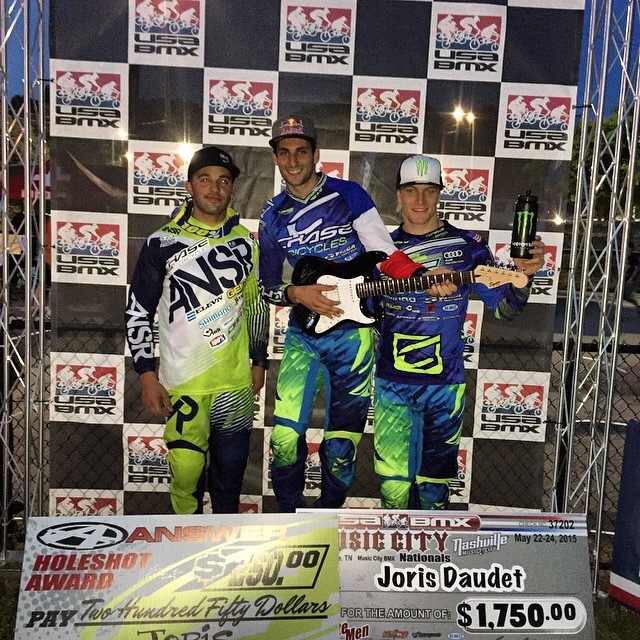 Round #4 of the USA BMX Elite series was held this weekend at one of the fastest and best BMX tracks in the USA, Nashville BMX, in Tennessee. This track has a long tradition for Pro racing and the beautiful park setting, the perfect track layout, and the great atmosphere that the Music City adds to the great racing that is always found on track, makes this a must attend event each season. With the new Friday night format, the Pros are excited to get into town and check out the track early on Thursday, and from the moment the Chase BMX Pro riders checked out the track, they were excited for the weekends event. The Nashville track is a thing of beauty and truly tests the riders power down the extra long first straightaway. 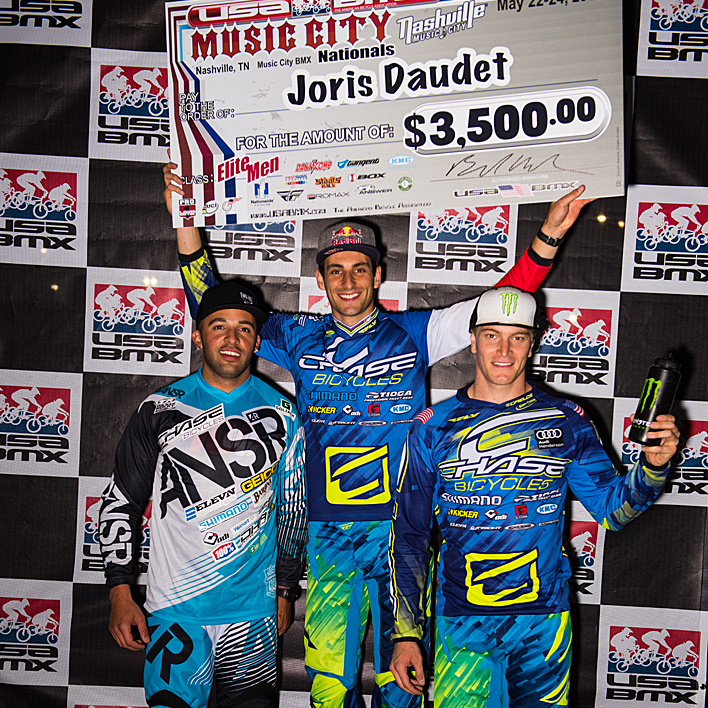 On Friday night, it was a stacked field of Pro riders that had signed up for the event, with 37 elite men ready to do battle on the Music City track. 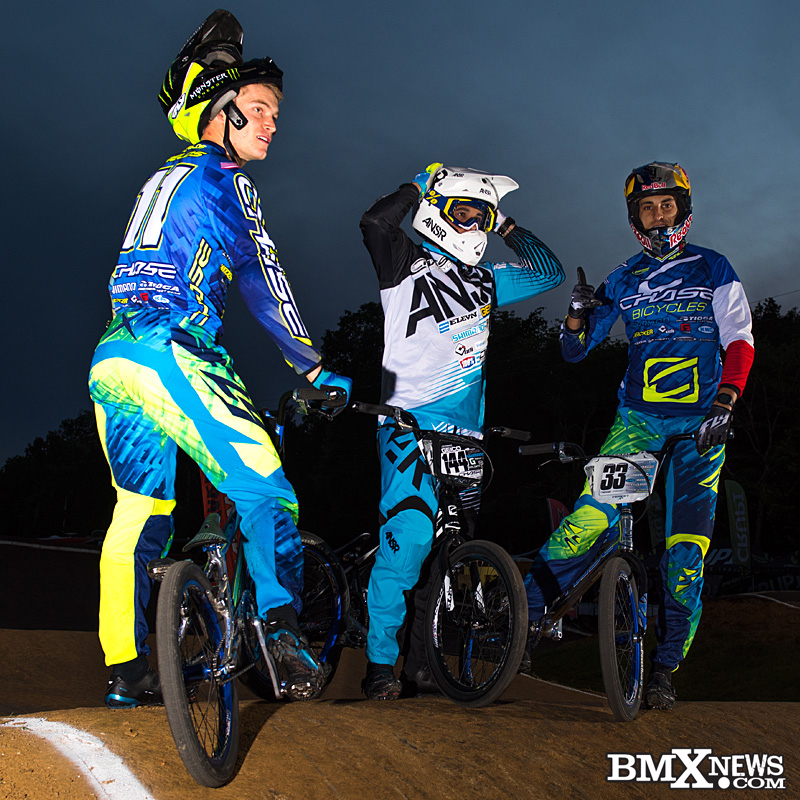 When the main event lined up, 3 Chase BMX pro riders had made their way onto the gate – Joris Daudet, Connor Fields, and Anthony Dean. When the gate dropped, it was Joris who had wings, as he took the hole shot and the lead for the entire lap. Anthony and Connor had a tight battle going into turn one, with Anthony taking the advantage. The 3 riders would sprint all the way to the line, and would finish up just that way, making it a Chase BMX Podium Sweep. In the Elite Woman’s class, Dani George, just missed out on the podium with a 4th place finish overall. On Saturday, Day 2 for the Elite riders, once again the 3 of the Chase BMX riders rode strong and all 3 made it into the main event. Once again, it would come down to the ultra fast first straight away and Joris would once again show the top speed going into turn one, taking the hole shot award. Anthony and Connor would again have a tight fight for the 2nd place spot, and once again, Anthony took the 2nd place spot, with Connor finishing in 3rd. Dani George would also once again finish 4th in Elite women. 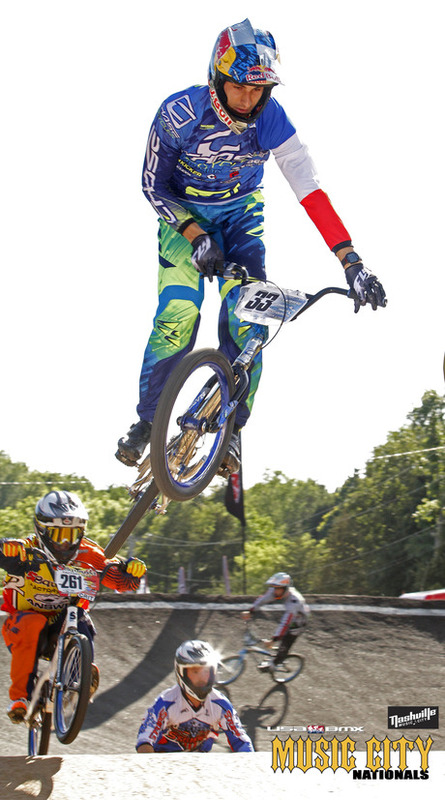 What a great weekend for the Chase BMX riders, not only sweeping the podium both days, but being consistent and giving the USA BMX fans a great show on the track! Thanks to all the fans that stopped by the Chase team area and a special thanks to all the Military Veterans for your service!